In an unprecedented measure, the US is punishing countries for abiding by a Security Council resolution, says Iran’s UN Ambassador Gholamali Khoshroo. 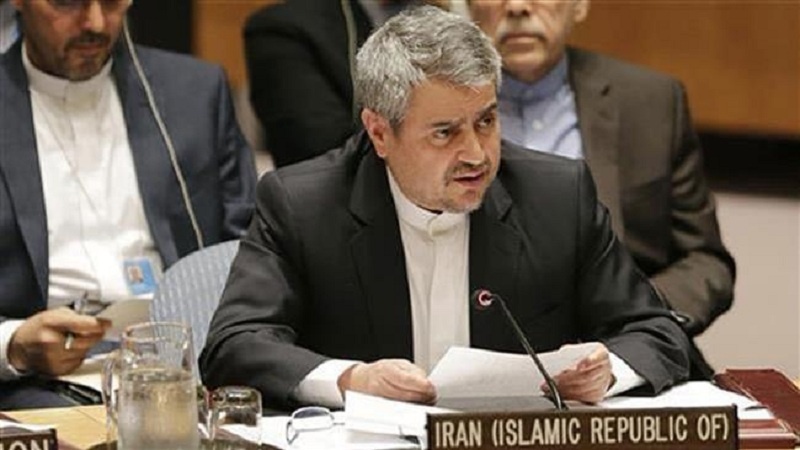 According to Press TV, in a commentary published by the Guardian on Wednesday, Khoshroo stressed that by ditching the nuclear deal with Iran and sanctioning countries engaged in business transactions with the country, the US is violating UNSC Resolution 2231. “For the first time in the history of the United Nations, the United States – a permanent member of the Security Council with veto power – is engaging in penalizing nations across the entire world; not for violating a Security Council resolution, rather, for abiding by it,” he said. The resolution, which was adopted six days after the Joint Comprehensive Plan of Action (JCPOA) was signed in Vienna, calls on UN member states to stay clear of “actions that undermine implementation of commitments” related to the nuclear agreement, the Iranian ambassador added. The agreement with Iran was signed in 2015 by the five permanent members of the UN Security Council, including the US, plus Germany under then US President Barack Obama. US President Donald Trump pulled the US out of the Iran nuclear agreement in May, and said that he plans to reinstate US nuclear sanctions on Iran and impose “the highest level” of economic bans on the Islamic Republic. On Monday, Trump signed an executive order re-imposing sanctions on Iran to levy “maximum economic pressure” on the Islamic Republic. The US withdrawal from the deal and its re-imposition of sanctions come as other signatories to the agreement have pledged to protect the JCPOA.